Put yourself in their position and think..
Bear farming means to keep certain type of bears locked up in some Asian countries like Vietnam and China. An estimate of about 14,000 bears in both China and Vietnam are being kept captive just for bear bile. 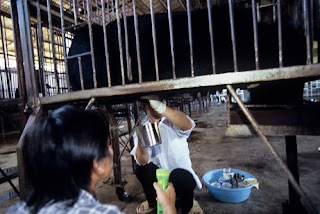 Bear Bile is a digestive juice produced by the liver in bears. These bile are often used as medicine and are thought by people that it has greater affect than medicines we use now. Although, it has been said that there are no scientific proof to support this fact. Capturing bears and getting their bile affects the population of bears, putting some on the extinction list. Imagine being held captive without the freedom you want. That's how the captive bears are feeling. What do you say? Let's start helping the bears! Jackie Chan is making a public service announcement on the action of capturing bears for Bear Bile. 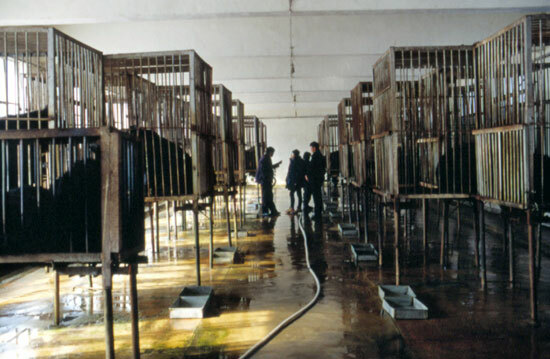 Do you think Bear Farming is necessary for Bear Bile? 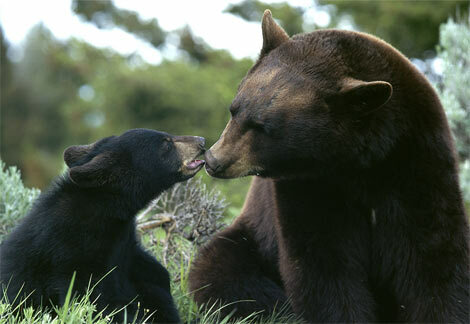 Bears should live in the habitats they really belong in, but most of all live happily. Bears shouldn't live this way. 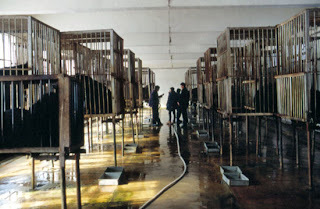 Here, they are being kept captive for bear bile. What do you think about the use of Bear Bile? We are students of Mr. Blake who is our Social Studies teacher. We are here to announce the act of taking bear bile and how cruel we think it is. Learn more about bear bile and let us know what you think of this cruelty. Let's all help prevent this act!